When the University of Houston offered Arthur Meeks the opportunity to advance his career through education, it changed the course of his life. Today, Arthur and his wife, Stephanie, are grateful for the University's help and are determined to provide similar opportunities for others. 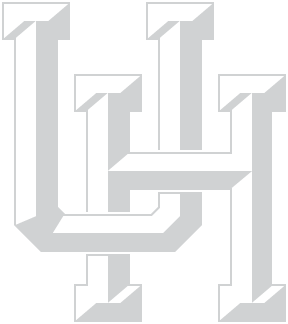 In the early 1970s, Arthur was a draftsperson at Houston Engineers. He soon began taking courses at the University's College of Technology in order to advance in the company. After several years, he began working on his degree in manufacturing systems-engineering technology, all the while continuing to work full-time in order to support his growing family. Since completing his BS in 1991, Arthur has held several managerial positions and is currently the senior engineering supervisor at Weatherford International. Stephanie has personal and professional ties to UH as well. While Arthur attended classes, she often walked the campus with their three young boys and spent countless hours in the stacks of the M.D. Anderson Memorial Library. In 1980, Stephanie began her career as a development officer, working for several nonprofit organizations over the years, including the University of Houston, where she served as a development officer from 1996-2004. Presently she is the director of donor relations at KSBJ radio station. Arthur and Stephanie want to make sure that future UH students are afforded the same experiences they've had. Arthur has helped secure funds for the University as a board member of the Technology Alumni Association. He has also given unrestricted gifts each year to the college. Stephanie remains an active library donor. Both have designated a percentage of their estate to the University in their wills: Arthur to the College of Technology and Stephanie to the library. "I want others to have the opportunity to hold down a job and take courses to benefit them in that job," says Arthur of his bequest, while Stephanie hopes to "leave a little bit of a legacy to help the library function in the future." Clearly both of the Meeks have established a legacy of opportunity for generations to come.